Nightingale College has partnered with local healthcare facilities to bring nursing education to your community. Online learning activities combined with local experiential learning activities allow Nightingale College to deliver its nursing education through Dedicated Distance Cohorts© (DDC). The nursing programs’ core focus is the success of each learner and graduate. 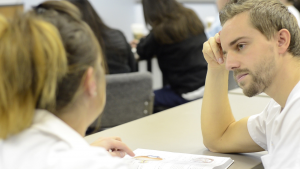 Nightingale College’s students develop professional nursing competencies that prepare them to take the NCLEX-RN® Exam. If you want to learn more about Nightingale College’s DDC program, we invite you to fill out the form to the right. An admissions representative will contact you about our next info session and help you discover if Nightingale College and its programs are a good fit for you. *Earning a nursing degree from Nightingale College does not guarantee employment as a Registered Nurse. Passing the NCLEX-RN® exam and meeting other licensure requirements is necessary for obtaining an RN license. Discover if Nightingale College is the right fit for you. 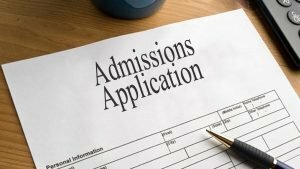 Nursing school is tough on its own, but choosing the best school can make all the difference in your education. Take some time to peruse our website to see what you can expect as a nursing learner at Nightingale College. Our admissions advisors will help answer any questions you have. Nightingale College is nationally accredited by the Accrediting Bureau of Health Schools (ABHES). ABHES is recognized by the U.S. Department of Education as a private, non-profit, independent accrediting agency since 1968. Nightingale College’s Associate Degree Nursing Program is accredited by the Accreditation Commission for Education in Nursing, Inc (ACEN). 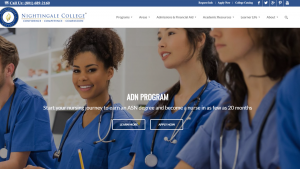 Nightingale College’s RN-to-BSN Bridge Program is accredited by the Commission on Collegiate Nursing Education (CCNE).